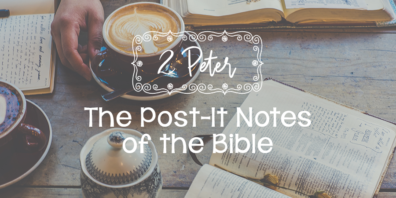 Have you been studying along with us as we’ve studying 2 Peter? So far we’ve taken a closer look at our responsibility to add virtue to the faith we have received from our Savior and been challenged to live what we believe. What are we going to do with this wonderful news? Strengthen ourselves! Work to the maximum to grow, adding to our faith virtue, knowledge, self-control, perseverance, godliness, brotherly-kindness, and love. Today we will see the result of cultivating these virtues. Let’s read the Bible together. 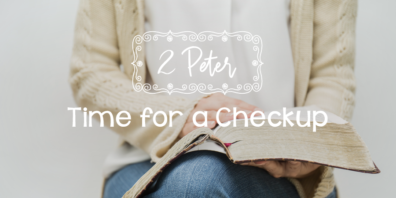 Grab your Bible and turn to 2 Peter 1:8–11. We’ve also listed the verses below for you. 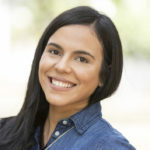 For if these qualities are yours and are increasing, they keep you from being ineffective or unfruitful in the knowledge of our Lord Jesus Christ. For whoever lacks these qualities is so nearsighted that he is blind, having forgotten that he was cleansed from his former sins. Therefore, brothers, be all the more diligent to confirm your calling and election, for if you practice these qualities you will never fall. For in this way there will be richly provided for you an entrance into the eternal kingdom of our Lord and Savior Jesus Christ. We live in a culture that gives huge importance to leisure, that invites us to clear our mind, to relax, to stop working and find pleasure in doing nothing. Everything is so different in our spiritual life. 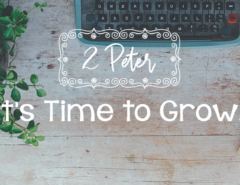 We are called to be Christians twenty-four hours a day, to be intentional in growing all the time in our relationship with God, to kill sin without rest. 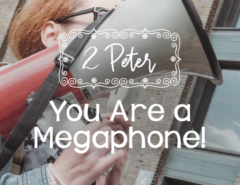 This is why Peter reminds us that the qualities of godliness keep us from “being ineffective or unfruitful” (v. 8). Growing in virtue, knowledge, self-control, perseverance, godliness, brotherly kindness, and love is a full-time job. We don’t ever need a break from it. Let’s do an exercise. Cross your eyes and try to continue to read. Could you do it? Of course not! Everything is blurry. The same thing happens when we stop growing in Christ. We see a distorted reality. We cannot see the gravity of our sin. We do not appreciate the need for grace. We have a deformed concept of ourselves. We run the risk of forgetting why we surrendered our lives to Christ in the first place. For whoever lacks these qualities is so nearsighted that he is blind, having forgotten that he was cleansed from his former sins (v. 9). Adding virtues to our faith is the cure for clumsiness and blindness, and it prevents us from forgetting the work of Christ on our behalf. If we are following Christ, we will seek to add virtues to our faith. 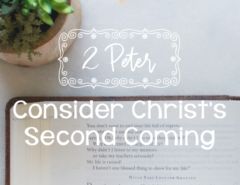 This could feel very repetitive, but it’s Peter’s intention that we remember that loving God will show up in the way we live. We’re not asked to be perfect in these virtues but to strive to add them in our walk with God. Therefore, brothers, be all the more diligent to confirm your calling and election, for if you practice these qualities you will never fall. For in this way there will be richly provided for you an entrance into the eternal kingdom of our Lord and Savior Jesus Christ (vv. 10–11). Let’s be diligent! (That means to keep trying.) Because the more we grow in virtue, knowledge, self-control, perseverance, godliness, brotherly kindness, and love, the more we will be firm and freed from falling into the trappings of sin. This is the way we live here on earth, right now, knowing that our eternal home is with Jesus in heaven. Are you growing in the knowledge of the Word? Are you applying that knowledge in your life? Are you striving to live in the light of what your pastor taught last Sunday? Think of someone (your mother, a godly woman in your church) to whom you can go for help while you strive to add virtue to your faith. Be honest about where you are, and tell them about your spiritual growth.